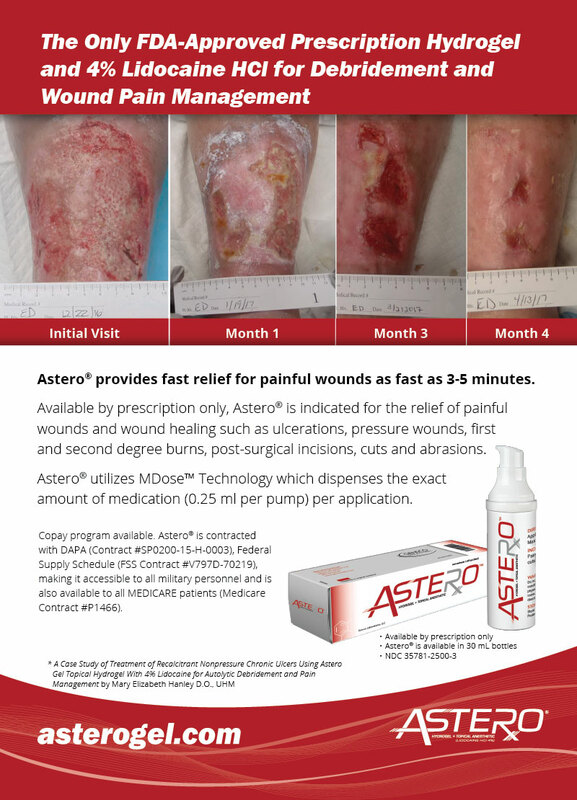 Astero® provides fast relief for painful wounds as fast as 3-5 minutes. 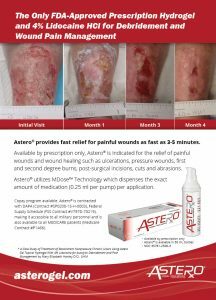 A vailable by prescription only, Astero® is indicated for the relief of painful wounds and wound healing such as ulcerations, pressure wounds, first and second degree burns, post-surgical incisions, cuts and abrasions. Astero® utilizes MDose™ Technology which dispenses the exact amount of medication (0.25 ml per pump) per application. Copay program available. Astero® is contracted with DAPA (Contract #SP0200-15-H-0003), Federal Supply Schedule (FSS Contract #V797D-70219), making it accessible to all military personnel and is also available to all MEDICARE patients (Medicare Contract #P1466).